Just like it is in your home, security should be a top priority for those with their own business. So you should always be looking at ways to improve security to protect your employees, and make your business less vulnerable to theft, fraud and harm. Here are a few ways of how you can do that. If you have quite a few people going in and out of your building, it can be very easy for someone to sneak in and steal something or cause harm if they don’t have good intentions. An ID check is probably one of the most effective ways of regulating who is in and out of the office. These can be in the form of turnstiles where you operate them using a keycard or having a fingerprint check in that recognises an employee’s fingerprint and lets them in. It’s all very high tech, so this might not be needed for all organisations, but if you have over 100 staff and plenty of clients visiting the office, it’s worth considering. It’s one we all hate doing, but it’ll stop potential online fraud or hackers from getting into your computers and stealing or destroying any confidential files. Encourage your staff to choose complex passwords for logging into their computer and for any software or online sites they have to log into for work. The same goes for your digital security. You may want to think about accessing your current firewalls and anti-ware software to see if anything can be improved to strengthen your online defences. Most security breaches often happen when using technology and the internet. With hackers and scammers continually trying to cheat the system, it’s crucial that businesses do the same. With any aspect of a business, reflecting and assessing is something that can feature quite heavily in an organisation. Annual reviews of employees, regular service checks on equipment and reviews on business growth are all important to the company. So, carry out periodic assessments on your office security and identify any weaknesses that you might have. Contact an outside organisation that could maybe look into your security in more detail, as you may find you’ve missed some pretty big opportunities. This is something you can ask all of your staff to do as due to the rise in terrorism and everything in between, offices and businesses within any city can be vulnerable. Being vigilant and reporting potential security breaches, whether that’s something spotted in the office or online, can be extremely beneficial for all. Try organising either a regular meeting or set up a forum, in which colleagues can express concerns or notify the operations team about any damages or security risks to the building and its contents. 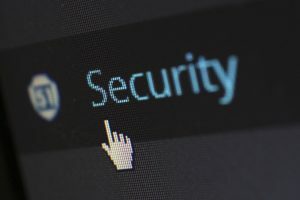 Any type of security breach can be damaging to a company, so it’s important that the level of security both online and in the building itself is maintained at a high standard.